One of the UK's most successful young entrepreneurs. Started his own digital media agency aged 11. 16 years old and employees 15 full time members of staff and has over 500 influential clients. Ben Towers is a multi-award winning serial young entrepreneur with a very unique and engaging story about how he started his journey to becoming a multi-award winning 16 year old serial young entrepreneur. At the young age of 11 he decided that he wanted to break the old of most others his age (who were thinking about high school) and start his business. After building a basic website for a family friend Ben quickly gained confidence to work with external businesses and signed up as a freelancer (aged 11) and by 12 he already had 25 customers all around the world. As Ben’s ability began to grew so did his customer base and quickly the work became too much for the young boy to handle and so he started to look for other options. This lead to Ben taking on a freelancer completing work he forwarded on. This continued and when he was 14 Ben took on his first full time employee in his digital agency, Towers Design providing cutting edge internet content and marketing solutions. Ben is an ambassador for ‘The Federation Of Small Businesses’, lobbying for young people with some of the most influential politicians in the UK, and YENA (Young Entrepreneur Networking Association). Due to his constant work in government Ben is widely recognised by MP’s all around the UK and is a constant feature in the media throughout the UK. 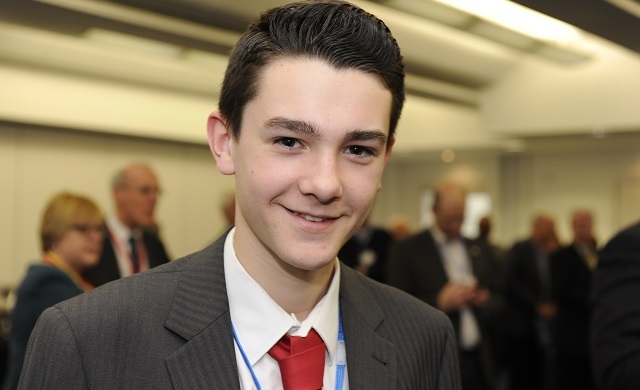 Whilst his peers were looking forward to starting high school, Ben aged 11 started Towers Design and quickly showed an innate ability both on the computer and as an entrepreneur. From small beginnings creating websites for friends and family, he has now progressed to working with over 500 businesses to achieve their digital goals. His highly successful design company offers cutting edge internet content and marketing solutions. Ben is available for speaking engagements and can address a large number of topics, primarily his own story about battling the challenges of building a business at a young age including finance, acceptance as a legitimate business man, access to grants and balancing work life with school (i.e. GCSEs). Other topics covered by Ben include staff motivation, sales, website design, hosting, SEO and branding. Ben has a strong and ever increasing portfolio of clients for presentations most notably: The Business Show, Prysm Group and The Federation of Small Businesses. He has spoken at a variety of events from small functions to large corporate conferences with thousands of delegates. At each event, Ben receives a very warm welcome; many people come to continue further discussions and he often finds a large percentage of attendees relating to his experience in some way or another.